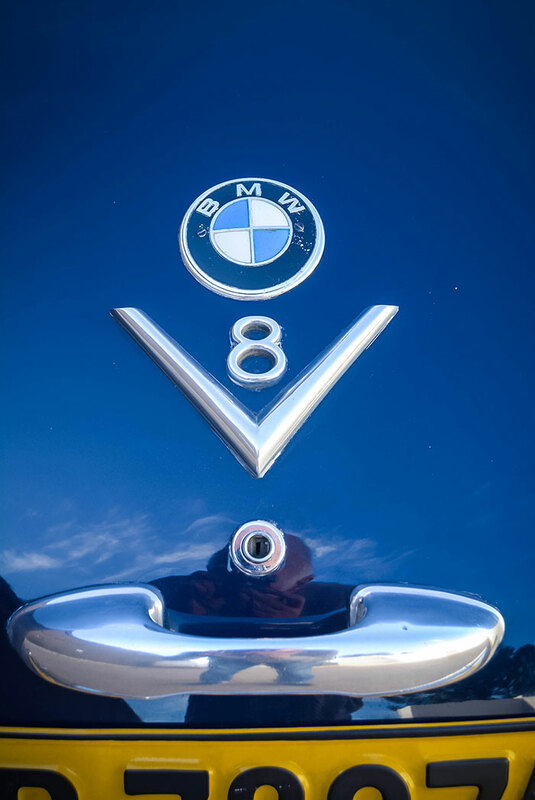 Founded in 1916, BMW is one of the world’s leading – and still independent – motor manufacturers. 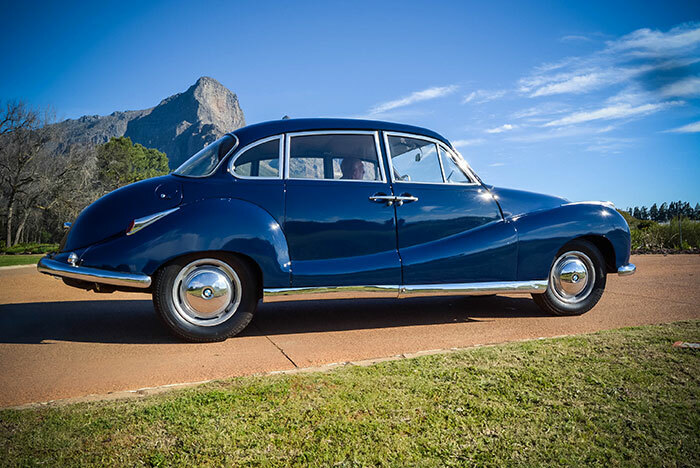 Its success is remarkable given that in the aftermath of WW2, the company was on its knees and only got back on its feet with car production in 1951 when it launched its first all-new post war model, the 501, at the Frankfurt Motor Show. Production began the following year in Munich, and it was the first BMW to be manufactured in Bavaria. The 501 was a rather grand looking four-door large saloon designed by Peter Schimanowski and featured a gentle V-shaped bonnet headed by the familiar, tall ‘twin kidney’ grille. 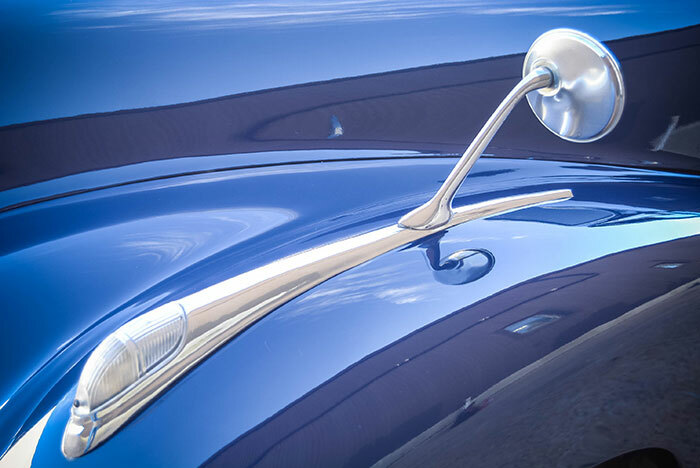 The distinctive profile featured a sweeping fender line that dipped into the rear fender bulge, six side windows, doors that were hinged on the A and C pillars, and a rounded boot. However, it did not meet the immediate approval of sales director Hanns Grewenig, and a chassis was sent to Pinin Farina for an alternative design. But the Italian carrozzeria’s submission turned out to be effectively a reworked Alfa Romeo 1900, so Schimanowski’s proposal was given the go-ahead. The public’s reaction to the car’s elegant if somewhat extravagant (for the time) looks led to it being nicknamed the ‘Baroque Angel’. The all-new perimeter-type chassis featured box-section side members and four large-diameter tubular cross-members. A steel floorpan was welded to the frame. The engine, an uprated version of 1 971 cm3 in-line six used in the pre-war Type 326, was carried in a cradle between the first and second cross-members. Front suspension consisted of rubber-bushed upper and lower control arms, the uppers linked to hydraulic shock absorbers, the pivot shaft for the lowers taking the form of a longitudinal torsion bar. The steering gear was unique, being described as a ‘segment-and-pinion’ or ‘rack-and-pinion with a semi-circular rack’. Whatever the description, it was convoluted… Ate drum brakes, with twin leading shoes up front, were fitted all round, and tyres were 5.50×16. BMW was struggling financially and the 501 was not selling in enough numbers to turn a significant profit. Competition from rival manufacturers was strong and in order to appease customers in the premium sector where the 501 was targeted, chief engineer Alfred Böning began work on a more powerful engine – a V8, which was a bold move in Europe at the time. The design bore similarities to Oldsmobile’s Rocket V8, but unlike the Rocket, the BMW 90-deg V8 was all-alloy with cast iron wet liners. 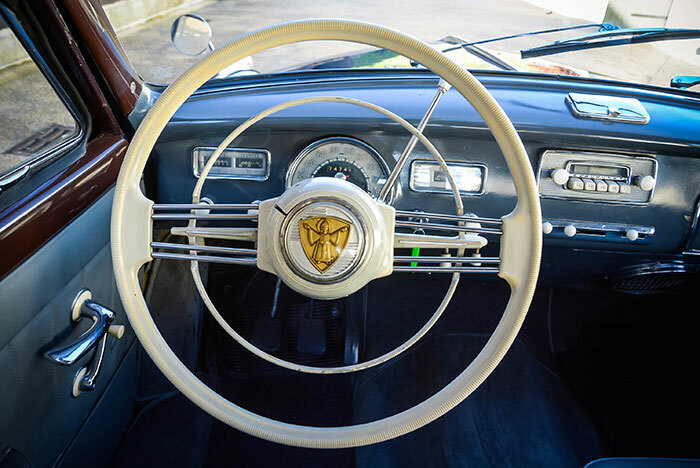 It had a five-bearing crankshaft with a Duplex chain driving the single camshaft that operated the overhead valves by pushrods and rocker arms. The crossflow cylinder heads boasted wedge-shaped combustion chambers. In deference to German fuel prices and taxes, the BMW V8 had a modest swept volume of 2 580 cm3. 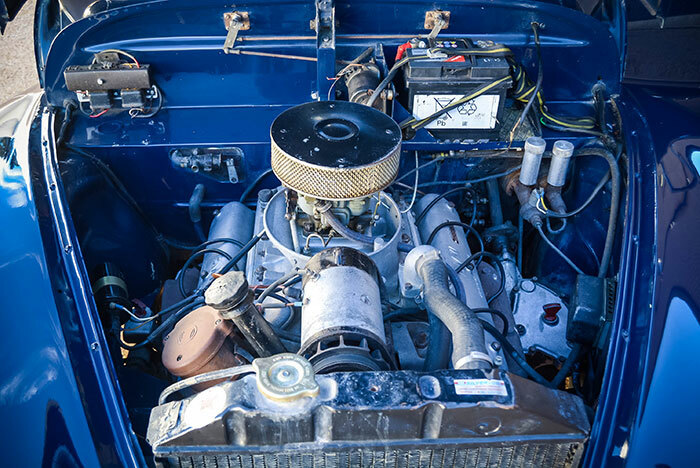 With a twin-barrel Solex carburettor and a 7,0:1 compression ratio, maximum power was 75 kW at 4 800 r/min. It was revealed in March 1954 at the Geneva Salon as the 502, the model’s only differing features over the 501 being chrome mouldings below the beltline, fog lights set into the front fenders and a V8 badge on the boot lid. The car’s chassis number is 56-324 and the engine number is 14678. 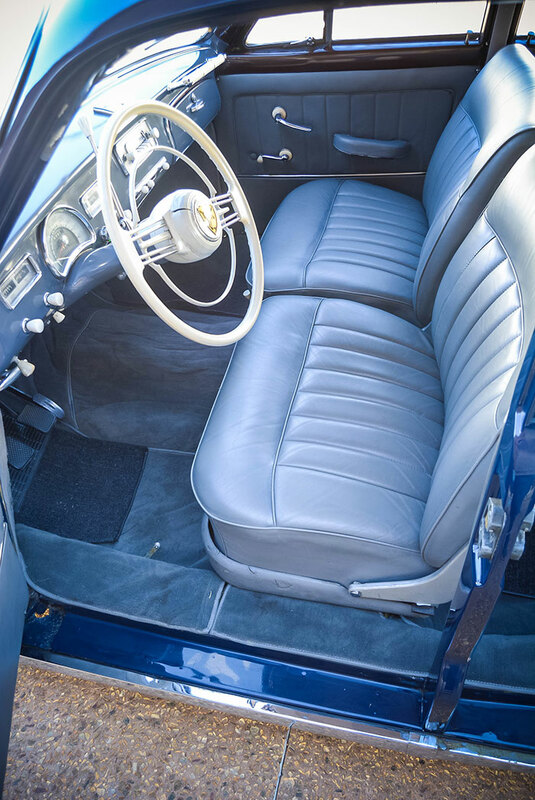 It has a wraparound rear screen, a model range upgrade that appeared in 1955 along with the introduction of a 501 V8 with a detuned version of the 502’s V8. In 1958, the six-cylinder engine was discontinued and the 501 and 502 titles were dropped in favour of numbers denoting the engine size. After some nagging of BMW Classic in Munich raised a previously unknown fact, I contacted BMW SA and the car’s former owner, Rudi Greyvensteyn, to try and get a little more detail. It transpired that the car is officially a BMW 2,6 and that the engine is original. The official documents were dated 20 July 1959. The car was painted blue and intended to be delivered to Caracas, Venezuela but due to unknown circumstances, the car was not exported but returned to BMW Munich in the December. 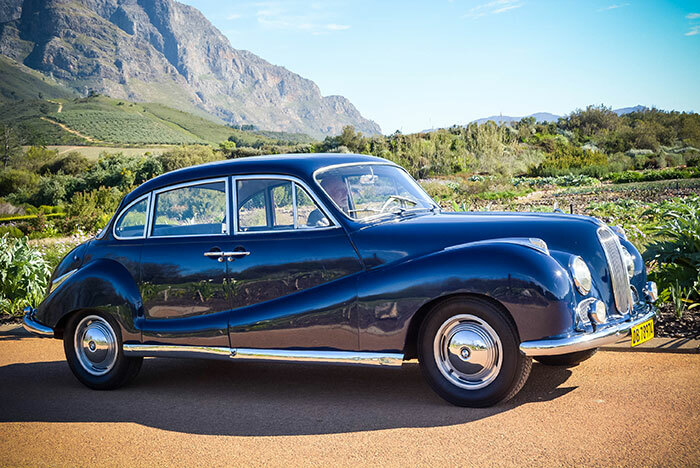 Unfortunately, no records of the car exist after this date until the car ended up belonging to BMW SA, whose Rosslyn archives have, so far, also not produced any supporting documentation. Approaching the big saloon, its slightly bulbous lines are imposing, the deep blue paintwork enhancing the effect. But somehow it does not shout ‘BMW’ despite the unmistakeable trademark grille. 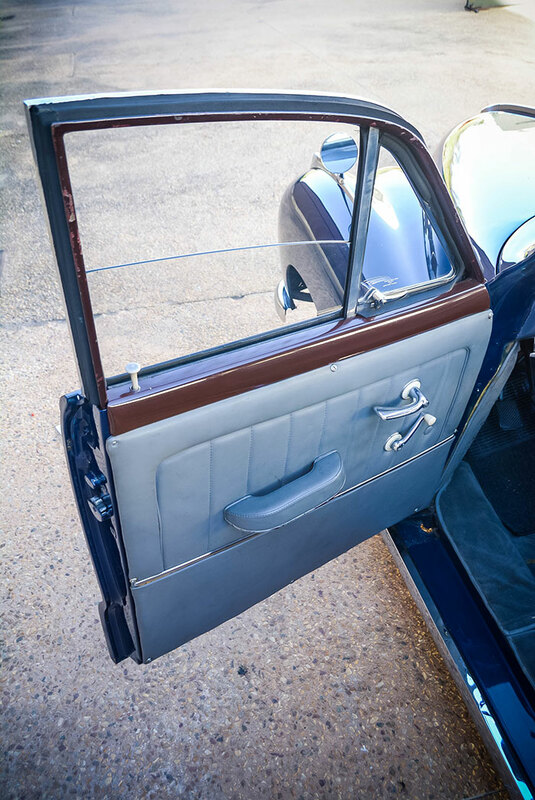 Opening both side doors exposes a slender B pillar and offers easy access to the roomy, airy and plush interior. 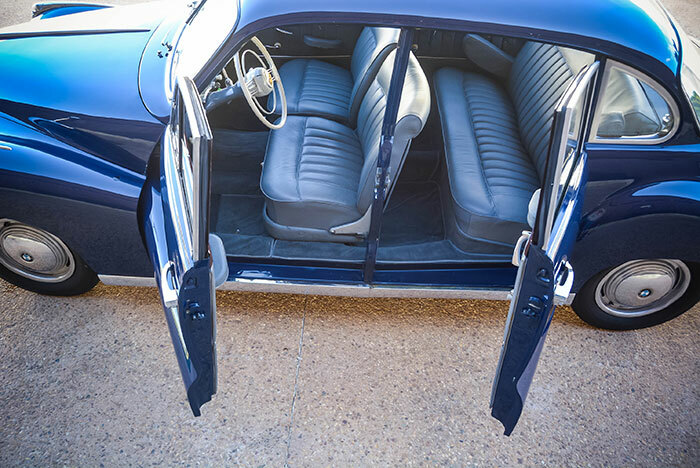 Rather oddly, the front seat backrests tip forward as if the car was a two-door. Nevertheless, the seats are accommodating and the driving position is comfortable, the steering wheel set close to the dashboard as a deliberate safety feature. The V8 is a smooth-operating unit and offers satisfactory performance, with 0-100 km/h in around 18 seconds and a top speed just over the Imperial ‘ton’, 100 mph (161 km/h). Thankfully the gearing is well spaced and the engine torquey enough to preclude lots of gear changing because the column shift action is, frankly, horrid. Vertical movements are long and the 1-2 and 3-4 planes are really close together. Oh for a floor shift… But the ride and handling are excellent and the steering is both well-weighted and responsive. Non-assisted brakes need a heavy shove but are effective. The car grows in appeal the longer you drive it. Overall, the level of engineering is impressive given BMW’s limited funds during the 501/502’s development, which shows the company’s determination to succeed. Production ceased in 1964. 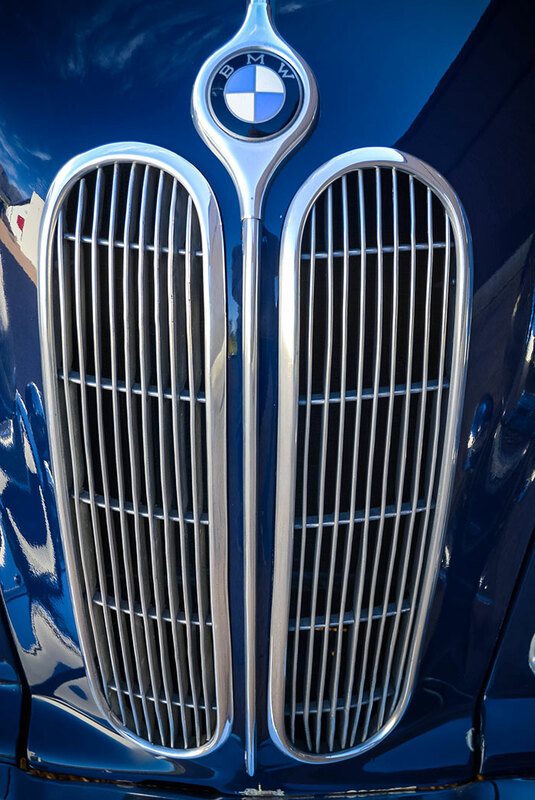 The 501/502 shape bridged the gap between the company’s pre- and post-war design philosophies and is thus a significant model in BMW‘s history. 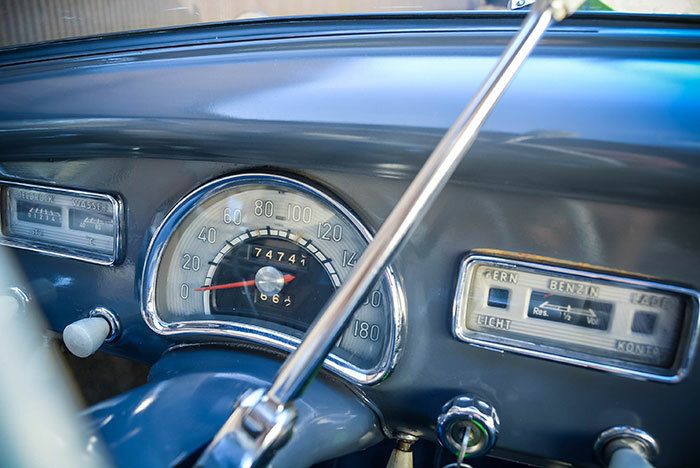 It can justifiably stand proud as the car that boldly helped kick-start the company’s progressive post-war rise to the top echelon of global motor manufacturers.